Following the devastating Hurricane Matthew in October 2016, which killed nearly 500 in the country of Haiti, RMI responded with multiple trips to this familiar disaster area to assess the damage to ministries and missionaries that we had assisted following the Haitian Earthquake of 2010. The majority of our effort and fund-raising was focused on the orphanage, home, school, farm, medical clinic, and church facilities in the mountains above Petit Goave overseen by American missionary Connie Anderson. Hurricane Matthew completely destroyed Dentist’ Baptist Church in the isolated volcanic mountains of Haiti. Originally planted by American missionary Terry Anderson, this church has grown to a body of believers of about 150. In their “state” or province, there are no concrete structures, simply buildings made of logs, branches, and tin. They have asked us to raise the money here in the U.S. to provide materials so that they can build a secure concrete structure to use as a church, provide a place to operate local government, and to use as a protective shelter during the many storms that ravage their Caribbean Island. Following the Flood of 2016, RMI learned of several churches with significant damage in this rural part of our country. Pleasantview Baptist Church is a large ministry consisting of an 800 seat auditorium, a large Christian school, and summer camp facilities. Their entire property flooded, including two parsonages. RMI responded within hours of the flooding, began fund-raising and organizing volunteers, and assisted in the remodel of the parsonages and summer camp facilities. Rancho La Paloma is a summer camp, working ranch, and group of residences located in Huachichil, Mexico started by American missionaries Marty and Jessie Starling in 1967. Now retired, their son, Mike, and his family are assuming the leadership of this ministry. RMI has taken multiple teams to the camp to assist in the remodel of this large ministry. Expectations are that this will continue for years to come as we partner in the long-term development of this important ministry in Mexico. While on a survey trip to Rancho La Paloma, we met a local pastor in the village below the camp. We immediately fell in love with the spirit and ministry of national Pastor Marcos. He shared with us his vision and plans to upgrade and remodel the facilities of the church he pastors. 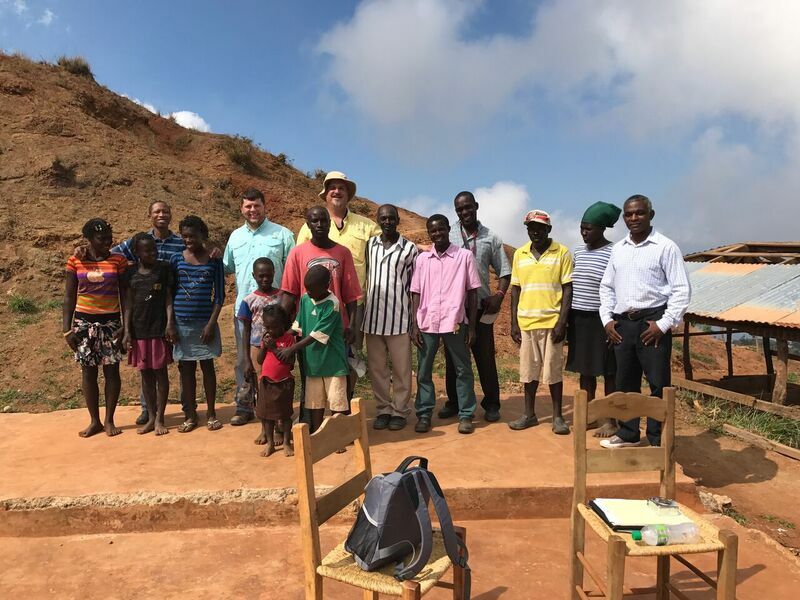 RMI was impressed by the sacrificial giving of his impoverished people and decided to fund-raise and bring work teams from the U.S. to assist in the remodel. Working side by side with our Mexican brothers and sisters we look back on those weeks as some of the sweetest in our ministry. Immediately after the disastrous earthquake in Haiti in 2010, RMI joined with several other ministries and began flying relief supplies into Haiti to support our American missionaries and their ministries. With close friends having been Haitian missionaries themselves, we were uniquely blessed with local contacts, interpreters, and knowledge to operate in such a chaotic, desperate location. Over the two years of our response, RMI assisted in the rebuilding of nearly 10 different churches, schools, and orphanages using local labor and American funds. Expectations are that we will continue to involve ourselves in the support and development of these ministries as long as RMI exists. Hurricane Ike brought the disaster to RMI. Located on the Texas coast, we were in the unusual position of having been in the disaster zone during the storm and operating our relief response in our own back yard. Joining with our own local church we were able to distribute millions of dollars of food, water, and relief supplies, organize volunteers from around the country to come and assist our neighbors and show our own area the love of Christ through the efforts of His people in our own community. Hurricane Gustav hit the Louisiana coast with huge amounts of rainfall and flooding. Our response to Gustav was quick due to the fact that Hurricane Ike happened in our own backyard just a few weeks later. The majority of our efforts were spent gutting homes and cutting some of the thousands of trees off of roads, homes and businesses. We set up a relief center at Victory Baptist Church in Pierre Part and provided materials for distribution for Pastor Rockwell and his people to distribute to their affected neighbors. One of the missionaries based out of our home church in Texas was Bill Martin. Called to Mexico to help educate the next generation of pastors and missionaries in the Monterey area, Bill had helped to develop and eventually direct Mount Hebron Bible Institute. At the same time, Bill and Lupita had developed a burden for the special needs orphans in their area. RMI took several trips to their home and orphanage, remodeling most of their facilities. Another ministry RMI received calls for assistance from following Hurricane Wilma was Faith Baptist Church in Margate, FL. Almost their entire facility had lost its roof due to Wilma’s strong winds and the resulting damage was assessed at over $3,000,000. RMI spent 12 weeks assisting in the remodel of the church facilities, including drywall work, paint, and flooring. Hurricane Wilma cut a strange path through the Caribbean and Florida effecting several countries and hundreds of ministries. RMI took a survey trip to Eight Mile Rock on Grand Bahama Island nearly six months after the storm to meet with Pastor Michael Hall and listened as he told the story of his seven year journey to remodel a centuries old government building to become the home of New Testament Baptist Church. He then explained that 10 days before they moved in, Hurricane Wilma completely destroyed the property, removing the entire building including the foundation, the trees and bushes, and even the grass and dirt. RMI raised awareness and funds for them to rent a temporary facility and begin reconstruction of their new church home. At the conclusion of our Hurricane Katrina response, RMI learned of a church that was damaged by Hurricane Rita nearly one year prior. Rather than fix their own facilities, Val Verde Baptist Church had taken the majority of their insurance money and bought supplies to distribute to hurricane victims in their neighborhood. Clearing their chairs, they had used their auditorium as a warehouse and distribution center, offering prayer, conversation, and advice to Rita’s victims. RMI spent nearly six months remodeling that auditorium, lobby, and bathrooms as well as repairing the storm damage to what eventually would become our home church for the next 9 years. After driving busloads of relief supplies from my local church in Tennessee, I decided to spend a couple of weeks in the heart of the disaster zone of Hurricane Katrina attempting to save local church buildings from further damage after the storm. As other groups of volunteers from churches around the country began to plan their trips, it became obvious that somebody needed to help organize those groups to help them be effective in their relief work in this unprecedented disaster zone. RMI was born during the next 12 months of facilitating that work. A massive relief center grew from scratch on the property of Calvary Baptist Church in Bay St. Louis, MS. Millions of dollars of clothing and food were distributed from donations around the country. RMI helped to direct thousands of volunteers, gutted hundreds of homes, rebuilt Calvary Baptist Church, and saw hundreds come to Christ during our response to Katrina.